Enviro-Safe Safety Solvent contains special solvents and emulsifying agents to cut through heavy grease, grime and oil deposits. Enviro-Safe Safety Solvent is “environmentally preferred” because it is intended to replace products that are more hazardous, such as 1, 1, 1, Trichloroethane, MEK and mineral spirits. 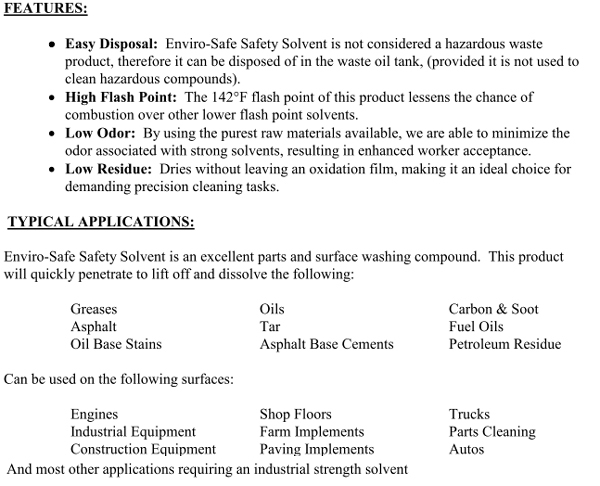 Enviro-Safe Safety Solvent is an excellent parts and surface washing compound. 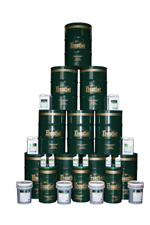 Enviro-Safe Safety Solvent will quickly penetrate and lift off and disolve grease, tars, oils, carbon & soot and petroleum residues.